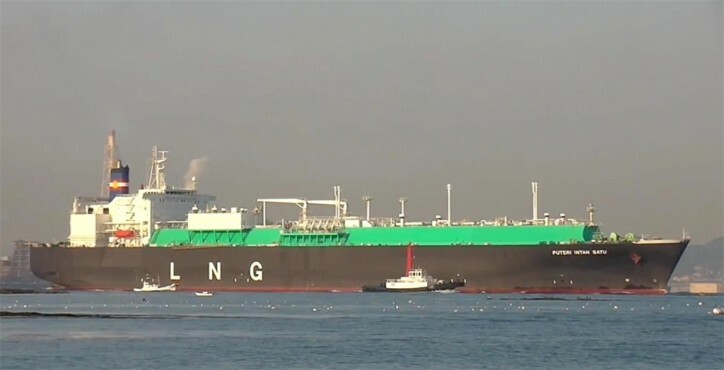 PETRONAS, through its subsidiary, PETRONAS LNG Ltd. (PLL) successfully delivered its first Liquefied Natural Gas (LNG) to South Korean Oil Refining Company, S-OIL Corporation, on 22nd April 2018, Sunday. The delivery marks the beginning of PLL’s supply to S-OIL via a 15-year Sale and Purchase Agreement (SPA). Under the agreement, PLL is committed to deliver up to 0.7 million tonnes per annum (MTPA) of LNG to S-OIL. The cargo was delivered from PETRONAS LNG Complex in Bintulu, Sarawak, to POSCO Gwangyang Terminal by Puteri Zamrud Satu, the LNG vessel chartered by MLNG and operated by PETRONAS’ subsidiary MISC Berhad (MISC). During the S-OIL First LNG Cargo Receiving Ceremony, PETRONAS’ Vice President of LNG Marketing & Trading, Ahmad Adly Alias, said that the success of the delivery was due to the efficient and effective collaboration between PETRONAS, S-OIL, POSCO and MISC, in ensuring all operational challenges were addressed effectively. “As an integrated global oil and gas player, PETRONAS remains committed to becoming the most reliable LNG supplier, through innovative and flexible solutions to accommodate the different needs of our buyers,” said Ahma d Adly. Backed by over 30 years of LNG experience, PETRONAS is recognised as a reliable and flexible LNG supplier, operating from its main supply base in Bintulu, Sarawak. In addition, PETRONAS has also diversified its LNG supply portfolio in recent years with the inclusion of Australia’s Gladstone LNG and the world’s first floating LNG facility located offshore Sarawak. S-OIL is an oil refining company, headquartered in Seoul, South Korea, which was established in 1976 and produces petroleum, petrochemical and lube base oil products.